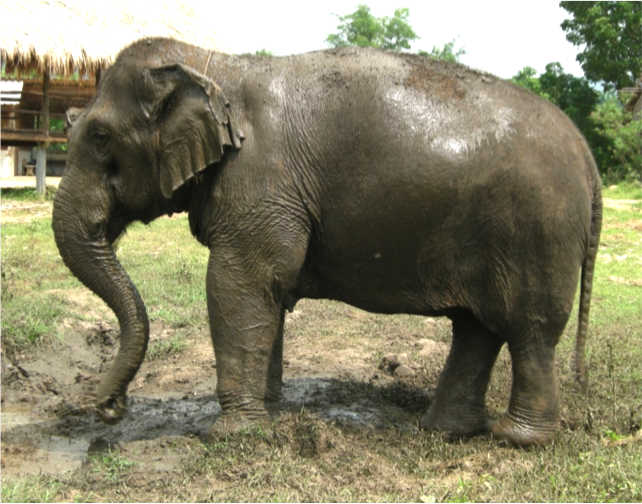 Kammoon was one of the first elephants to come to ElephantsWorld, together with Malee and Somboon. From very young she was used to working very hard. In elephant camps, she had to entertain the tourists every day, and most of the time she didn’t even have time to eat properly. 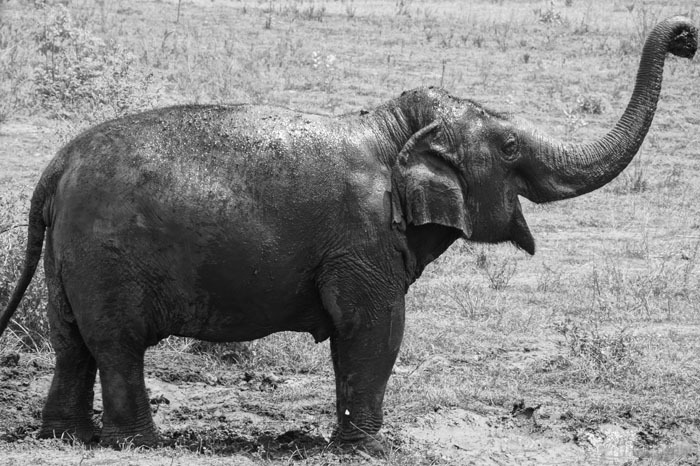 When Kammoon was 50 years old, her owner took her out of the camp because she was too tired and underfed to entertain the tourists any longer. 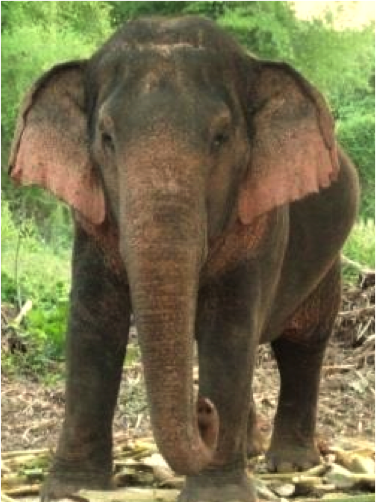 She started to beg on the street again, until a friendly man decided to rescue her and donate her to ElephantsWorld. Kammoon likes Rom Sai very much, and they enjoy flirting with each other. Also in the morning she loves to spend time with her new friend Wasana. If they have the opportunity they like to gossip very loud by making sounds with their trumpets and feet.